Home / JOB VACANCY / INVITATION TO APPLY FOR JOB AT GEITA DISTRICT COUNCIL 2018. INVITATION TO APPLY FOR JOB AT GEITA DISTRICT COUNCIL 2018. Geita District is located in the Geita Region of Tanzania. 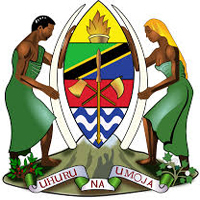 The district is here by announcing 34 Vacancies to Tanzanians. If you are interested please CLICK HERE to download full announcement in PDF file. The Application Deadline date will be 23 March 2018.